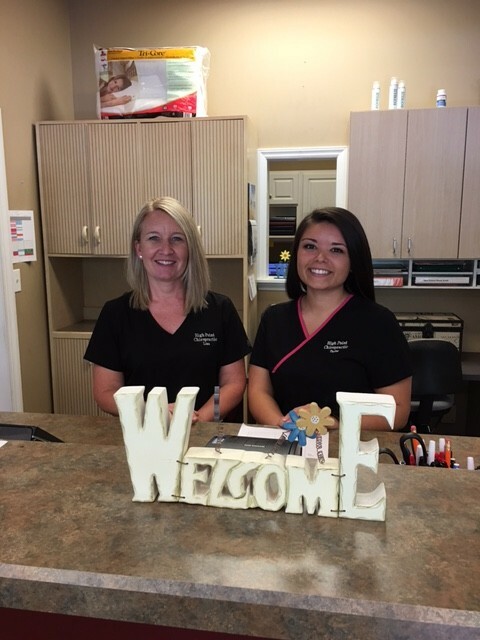 Our caring, compassionate team is ready to put you at ease from the moment you walk in. We’ll talk to you about how chiropractic might help you so that you understand exactly what we do. Many people see chiropractic as a way to relieve pain in the back or neck. In reality, that’s just a small part of what we do. Chiropractic wasn’t designed to treat pain but instead focuses on the integrity of the nervous system. We look at the bones of the spine because they house your nervous system, which is the master control system of the body. If you want to express optimum health, your nervous system has to be free and clear of subluxation, which is a misalignment in the bones of the spine. Our chiropractors are trained to detect subluxations with the use of advanced technology and their expert training. Then, specific adjustments are made to correct the subluxation, allowing your body to express its natural powers of healing and regulation. You can complete your new patient paperwork online or when you arrive. Then, you’ll have a complimentary consultation with the chiropractor that you’ve chosen. If we determine you’re in the right place to get the help you need, we’ll move onto an evaluation and examination. We have digital X-ray facilities and will take any images needed. Your chiropractor will do a series of nerve and muscle testing, and take Insight™ Subluxation Station scans to show us areas of your body under stress. We ask that you reserve about an hour of time for your first appointment with us. On your next visit, you’ll have a full written and verbal report of your chiropractor’s findings from your previous appointment. Together, we’ll decide where you want to take your health and if we’re the right place to help you. If we agree, you’ll receive your first adjustment. Contact our friendly, knowledgeable team today to schedule an appointment or to come to our Chiropractic night!